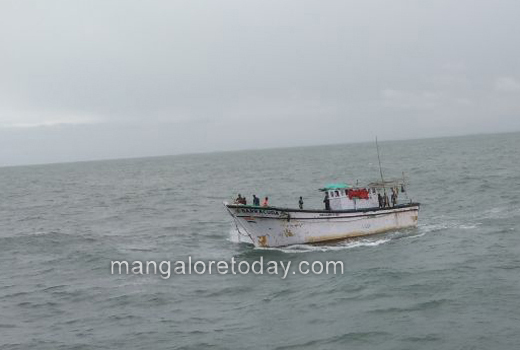 Mangaluru, Dec 06, 2017: Indian Coast Guard Ship (ICGS) Amartya rescued Androth registered fishing boat Barracuda (Regd No. IND LD AN MM 153) along with 13 crew from a position 18 Kms off Malpe on 06 December 2017. FB Barracuda had sailed from Kochi on 07 November 2017. Its crew belonged to Tamil Nadu, Kerala and Assam. 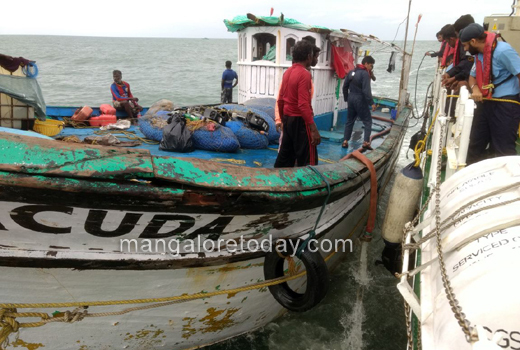 Coast Guard Karnataka received the information regarding likely sinking of fishing boat Barracuda with 13 crew 18 Kms off Malpe from Deputy Director Fisheries, Malapuram in the morning hours of 06 December 2017. ICGS Amartya was patrolling off Karnataka - Kerala coast on the aftermath of Cyclone Ockhi to provide search and rescue services. Immediately, the ship was diverted at 0725 hrs to proceed at the maximum speed and render assistance. Within 02 hours, the ship reached the distressed fishing boat. The master of the boat intimated that the boat had suffered damages to its superstructure during Cyclone Ockhi and its communication equipment, 02 support dinghies and rations were lost. The boat was drifting without propulsion since 03 December 2017. The fishing boat was in distress due to flooding. There was about 03 tons of water in the engine room. Ship’s damage control party was embarked on the fishing boat, which de-flooded the fishing boat using submersible pump and contained the sea water ingress using damage control plugs. The fishermen were in exhausted state and provided with first aid, food, water and support by the ship. Due to flooding the engine of the boat has seized and it was towed by ICGS Amartya safely to Malpe and handed over to another fishing boat Mary Matha along with 03 crew for taking to Malpe Port at 01:30 PM. The ICG ship entered New Mangalore Port along with 10 rescued fishermen PM 06 December 2017. ICGS Amartya has been at sea since 01 Dec 2017 and saved 35 lives during Cyclone Ockhi including this SAR operation. On earlier occasion, this ship was also involved in rescue of Barge IBIS, wherein 27 lives were rescued in thick of monsoon in the month of Jun 2017. The ship has saved 62 lives since the onset of SW monsoon. 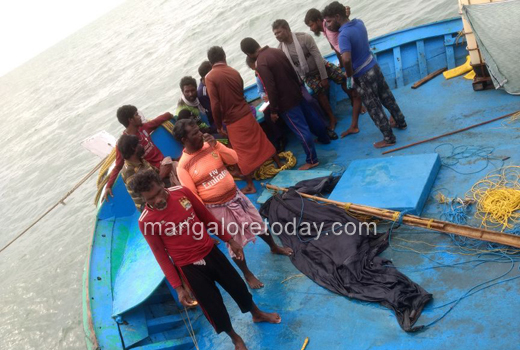 The rescue operation was overseen by No 3 Coast Guard District Headquarters (Karnataka). During the rescue efforts, constant liaison was maintained with Mr. Sasikanth Senthil S, IAS, Deputy Commissioner, Dakshina Kannada and Ms. Priyanka Francis, IAS, Deputy Commissioner, Udupi by Deputy Inspector General SS Dasila, TM, the Commander, Coast Guard Karnataka. The Commander expressed his satisfaction over the rescue efforts and stated, “Saving of every life is important irrespective of the challenges of rough sea conditions. We at District Karnataka are committed to respond to all probabilities emerging at sea, convert daunting missions and tasks into possibilities through proactive and cohesive approach and operational agility. Coast Guard is ever ready to respond to maritime challenges and will not leave any stone unturned in the service of Nation and protection of life at sea and living to its Motto, Vyam Rakashamah, i.e., We Protect”.